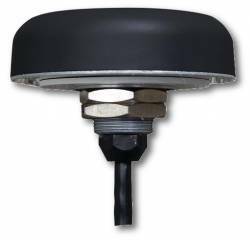 Ottawa, Ontario, Canada-based GNSS antenna maker Tallysman recently introduced its magnetic mount GNSS antenna the TW7875, designed for precision dual-frequency positioning. The antenna is capable of receiving GPS L1/L5, GLONASS G1, BeiDou B1, Galileo E1/E5a and NavIC L5 signals. The TW7875 employs the company’s Accutenna technology, designed to provide optimal multipath signal rejection due to its low axial ratio across the full bandwidth. The antenna also provides a linear phase response and tight phase center variation (PCV) at an economical price point, according to the company. It is designed for precision agriculture, autonomous vehicles and other applications where precision matters, and the TW7875 is housed in a magnetic mount IP67 rated housing. It is available without the magnet since it can also be mounted by screws or double-sided adhesive tape.